This page gives a simple introduction to the Thai Language. It is only intended to cover the basic concepts of the language and a few useful words and phrases. 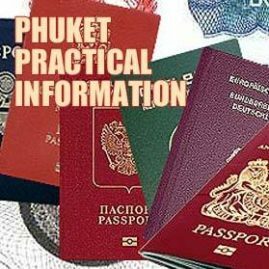 If you want to study the Thai language seriously there are several language schools in Phuket. There are also some good resources on the internet to which we have provided links at the bottom of this page. The Thai language does not have tenses or plurals and therefore does not have all the irregular forms that make English such a difficult language to learn. In Thai you learn a verb and that is it - you do not need to learn its various forms. 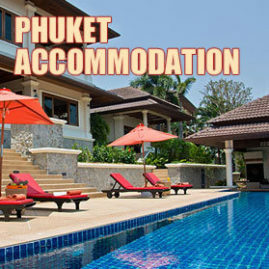 Instead, Thai has add-on words that they use to define tense or plurals. In this way, Thai is an easy language to learn but there are other complications that make it difficult for westerners. Thai is a tonal language - that is the tone used to pronounce a word can change its meaning. Thai has five tones - low, middle, high, rising and falling. For example, the word 'mai' in a falling tone means 'not' but at the end of a sentence with a rising tone it indicates a question. There is a sentence used to illustrate this - 'mai mai mai mai mai'. The word 'mai' repeated five times in each one of the different tones of the Thai language. The sentence roughly translates as 'new wood doesn't burn, does it?' Okay - it is not a very sensible sentence but it does highlight the significance of tones. Thai has its own alphabet or script. The Thai alphabet is quite logical. It does not have the ambiguity of the Roman alphabet. If you can read Thai then you can correctly pronounce most words even if you do not know the word. Unfortunately, there is no official transliteration system. Transliteration means the system used to convert Thai alphabet characters to the Roman alphabet so that westerners can read Thai words. Since there is no official system, you will often see Thai words transliterated in different ways. You may see 'sawadee' written as 'sawatdee' or even 'sawasdee'. As there is no official system there is no right or wrong (although 'sawasdee is wrong), it is just a case of trying to write the Thai word in a way that gives a westerner a reasonable chance of pronouncing it correctly. A common transliteration problem is 'k' being used instead of 'g'. You will often see the classic Thai dish Tom Kah Gai written as Tom Kah Kai. 'Gai' means chicken while 'kai' means egg - you may confuse the waiter if you ask for Tom Kah Kai. 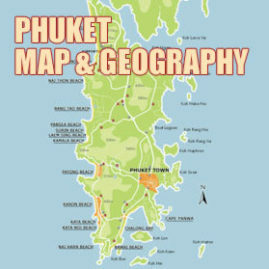 Similarly, Phuket should actually be pronounced poo-get. Note also that the 'ph' is pronounced as a hard 'p'. Similarly 'th' is a hard 't' as in Thailand (tai-land) or Thalang (ta-lang). The vagaries of the Roman alphabet are such that it is actually very difficult to create a transliteration system that consistently represents the right sounds in English. As a result, although we have tried to consistently use a transliteration system (designed for people whose first language is English) we have occasionally felt happy to stray away from that system if we feel there is a better way to represent the required Thai sound. Thailand, like many countries, has strong regional dialects. 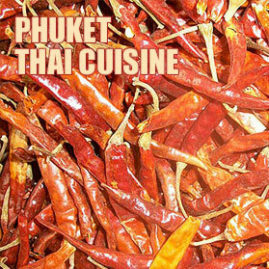 The standard version of Thai understood throughout the country is central Thai as spoken in Bangkok and central Thailand. The other regions of Thailand understand central Thai but between themselves, they use their local dialect. 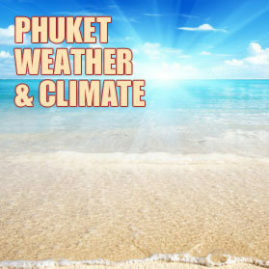 People in Phuket speak the southern dialect of Thai which is spoken rapidly and a lot of words are abbreviated. One other thing to be aware of is many Thais do not like pronouncing the letter 'r'. Most Thais can pronounce 'r' - they just think it is more effort than it is worth. They will therefore often drop the 'r' ('kap' instead or 'krap') or change it to an 'l' ('falang' instead of 'farang'). Before you start learning any other words the first thing to understand is the two polite particles 'krap' and 'ka' These words do not have any meaning - they are put at the end of sentences to make them sound polite. The important thing to know is that men say 'krap' and women say 'ka'. So if you are a man you should say 'sawadee krap' and if you are a woman, you should say 'sawadee ka'. Are you well? Sabai dee mai? 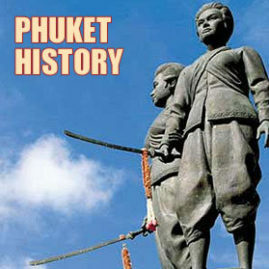 Thai Language - another good starting point with lots of Thai audio clips and an extensive dictionary. 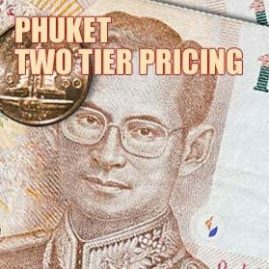 Thai2English Dictionary - a two-way online dictionary. It is an excellent translation tool. It will translate English into Thai giving both the Thai spelling and a transliteration. 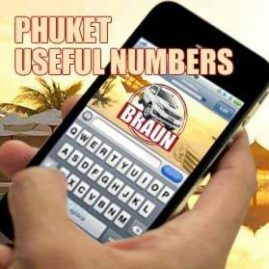 If you have a Thai language keyboard, it will translate Thai alphabet words into English. It will also attempt to translate transliterated Thai words into English.